Bruce Morrison grew up "middle class" in Dunedin. In 1966 he abandoned arts studies at Otago University to work part-time at regional television channel DNTV2. The fascination of television soon pulled him in full-time. "We learned as we went along," recalls Morrison. "From that point of view it was a good time to be in television — I was able to experiment." Within 18 months of starting as a floor manager, Morrison was directing, working on everything from studio-based light entertainment and talk shows, to outdoor broadcasts. Worried about having "got into a rut", Morrison moved to the UK in 1969. After time as an assistant director at Ireland's Aardmore Studios (including Roger Corman WWI feature The Red Baron), he began a two year stint with the BBC. There Morrison directed segments for current affairs shows like 24 Hours, Nationwide and This Week in Britain. Returning to NZ in 1972 at a time when local production was expanding, Morrison worked initially in news and magazine shows (including directing the legendary 'man walking invisible dog' clip, discussed in clip three of this documentary). He began directing and producing for adventurous arts show Review, a forerunner of Kaleidoscope. He was also working with Australian-born producer, Edwin 'Ted' Morrisby. The first result of their collaboration was 1975's Encounter documentary series; Morrison worked on six episodes, on everything from obesity to a profile of writer Brian Bell. Morrison then directed on Morrisby's ambitious Castaways, commissioned by new second channel, South Pacific Television. Filmed across the South Pacific, the series saw Morrison directing a 75 minute tale on the wreck of boat General Grant, plus others on an English teenager who became a Tongan chief, and a Scots woman among Torres Strait aboriginals. 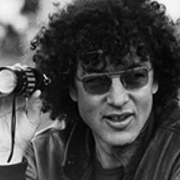 Morrison left the BCNZ payroll in 1977, but continued to work as a contract director on both documentary and drama. Alongside co-director Keith Hunter, he made notable films on NZ wildlife (Saddleback, award-winning deer hunting export Red Deer) while keeping an eye on developing a feature film. He is also a pioneer in music video. Morrison had directed music clips — possibly New Zealand's first — in the 60s, for teen show Five Live. In 1979 he spent six months as a producer on cult music show Radio With Pictures, while editing Annie, an entertainment special featuring then-partner, Annie Whittle. By the early 80s Morrison was directing the first of more than 20 music videos, among them Graham Brazier's 'Billy Bold', Herbs' 'French Letter' and Dave McArtney's 'I'm in Heaven', which won an award as the year's Best NZ Video. In the same period, Morrison's feature film career finally burst into life. His first film Constance (1984), starring Donogh Rees in a compelling performance, was about a woman haunted by dreams of glamour and stardom in 1940s Auckland. Morrison co-wrote the script with theatre veteran Jonathan Hardy; New York's Time Out called the result "lush and exhilarating". Morrison followed Constance with big-budget action movie Shaker Run (1985), which featured Lisa Harrow, American imports Cliff Robertson, Leif Garrett, and two Pontiac Trans-American cars. Then came stylized urban gang thriller Queen City Rocker (1986), much of it shot in central Auckland after dark. Aimed at a teen audience, the music-heavy drama featured newcomer Matthew Hunter and singer Kim Willoughby as lovers from opposite sides of the tracks. Morrison then returned to television, starting a long and fruitful partnership with producer William Grieve. Over the next 10 years their companies Anson/Grieve and Morrison/Grieve produced many documentaries and factual series, most notably the long-running Heartland series. Heartland saw host Gary McCormick (and occasionally other presenters) exploring communities across New Zealand. The show won a World Gold Medal and a Bronze at the New York Festival, and was twice a winner for Best Factual Series at the NZ Film and Television Awards. Heartland was born from award-winning one-off documentary Raglan by the Sea (1987), again featuring McCormick. The pair have also worked together on talk shows McCormick Country and McCormick, the short-lived McCormick Rips, and on-the-road with Sam Hunt documentary The Roaring 40's Tour. Throughout his career, Morrison has also been a prolific maker of programmes on the arts, stretching from 1974's Review through Kaleidoscope and 1983's Profiles, an innovative series on New Zealand painters and sculptors. More recently, Morrison has written and directed episodes in a continuing series of profiles of prominent Kiwi artists, some of which played on TV's Artsville. In 1997, Morrison's feature-length documentary The Road to Jerusalem, about the life and work of poet James K Baxter, won screenings at the NZ Film Festival. Part biography, part mood piece, the ambitious film won Best Director and Editor at the NZ Film and TV Awards. Morrison followed it with a documentary examining the history of Bastion Point.